THE FUTURE IS OUR ARTIST. 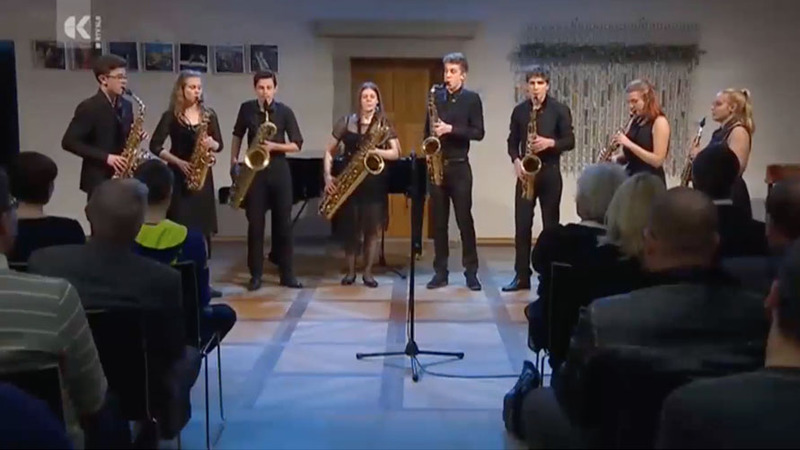 The Saxplode saxophone octet is a chamber group formed in September 2016 at Lev Pupis’ initiative. 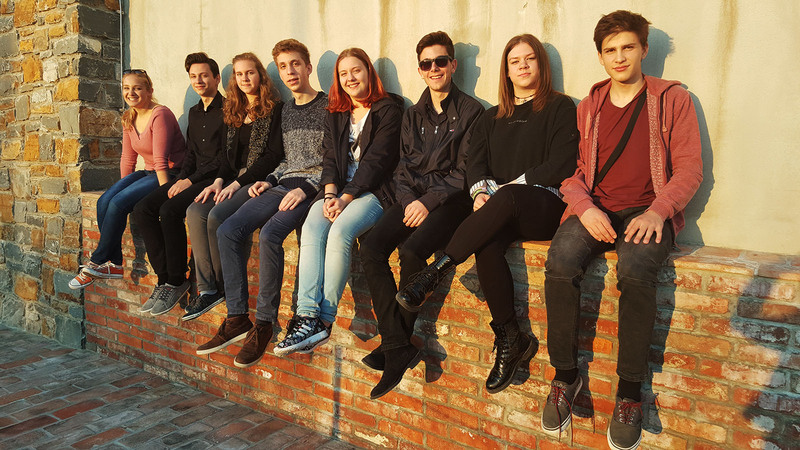 The octet is made up of pupils of the Music and Ballet Conservatoire of Ljubljana. The pupils already played together in the SOS Junior saxophone orchestra, where they became friends and made their first chamber and orchestra steps. 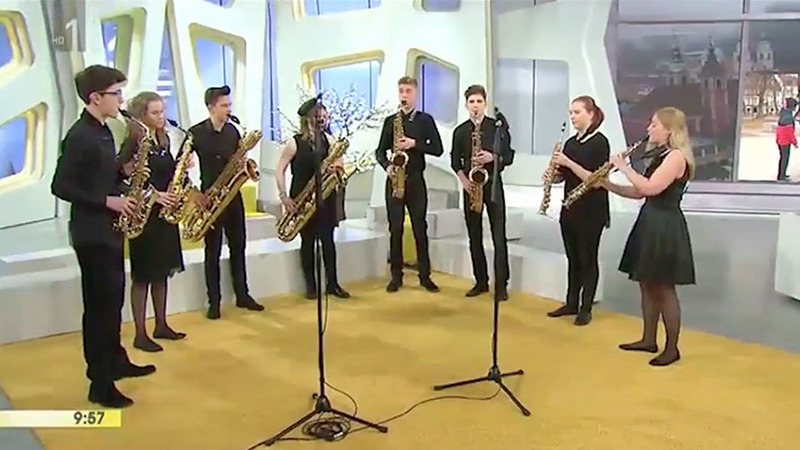 After several years of playing together in the orchestra, they decided to take on more serious responsibilities, at professor Pupis’ proposal, and formed the Saxplode octet, the name of which was forged by combining the words saxophone and explode. 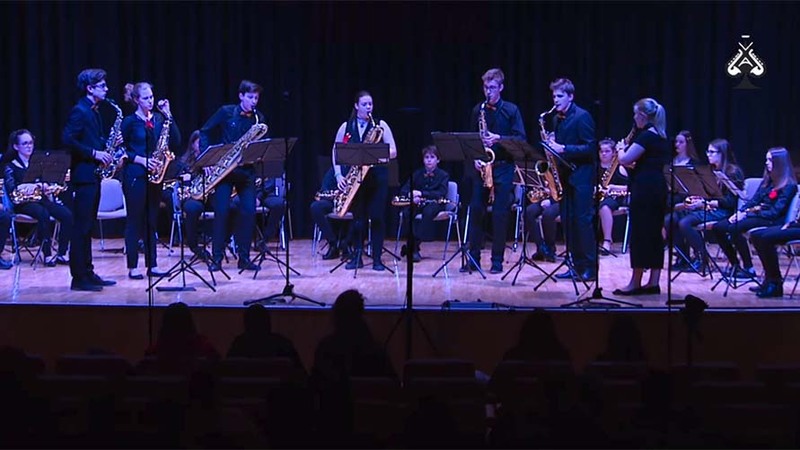 The ensemble features Valeria Kučan and Vida Kregar on soprano saxophone, Matevž Zupančič and Sandra Rijavec on alto saxophone, Jurij Bregar and Marko Petek on tenor saxophone, and Tadej Pance and Tjaša Kuharič on baritone saxophone, with professor Lev Pupis taking on the role of artistic leader. So far, they have performed on RTV Slovenia in the TV programme Dobro jutro (Good Morning), at the 3rd annual AS Festival in Bled where they were joined on stage by Oto Vrhovnik and Phillipe Geiss, at the Laško Cultural Centre, at the first Saxophobia Bratislava Festival, and at the BalatonSAX 2017 Summer Saxophone Academy in Hungary. In April 2017 they participated in the 9th annual Svirel International Competition, where they received 100 points for their performance and were named absolute winners in the chamber groups category. They also performed in the concluding festival “Ten of the best”, also filmed by RTV Slovenia. © VINCERO. All rights reserved.